Some of the bravest people on the planet are in the United States Coast Guard, who's motto is "Semper Paratus" which means always ready. They are always ready to risk their lives so that they may save another. 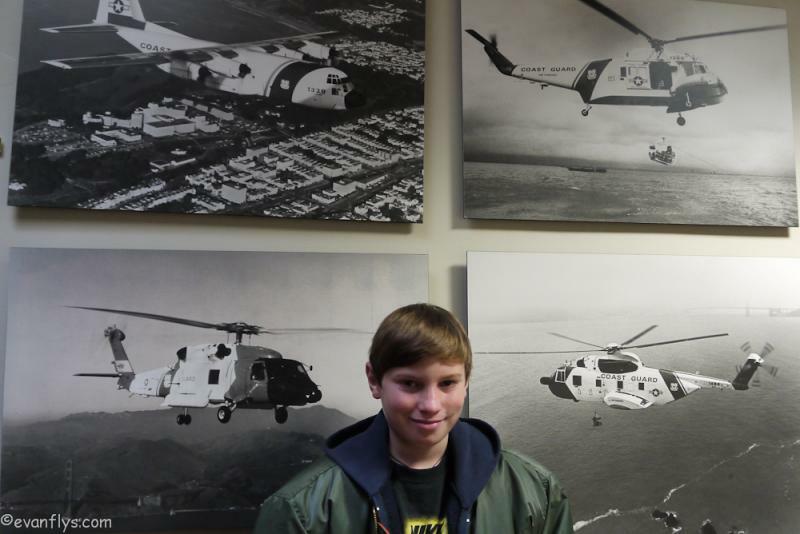 I went with my dad to visit USCG Air Station San Francisco where we got a great tour of the station, it's helicopters, and I got to meet and interview USCG rescue helicopter pilot LTJG Matt Kroll. 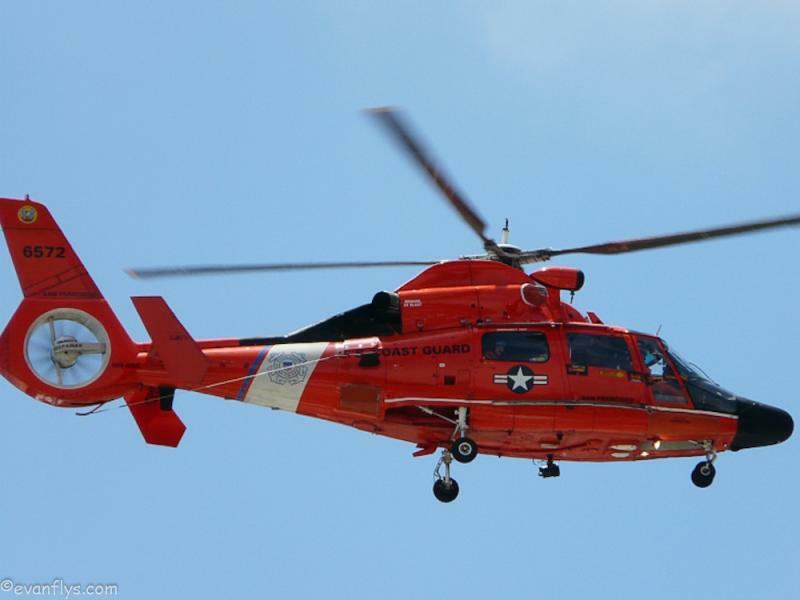 Why did you decide to join the Coast Guard? Well, my father was actually in the Coast Guard. He graduated from the Coast Guard Academy in 1971 and retired in 1996 when I was a junior in high school. He went over to the Navy as a Navy chaplain but served with the Coast Guard as a Navy chaplain so I grew up in a military reserve family. My dad went into the reserves when I was just a toddler. We were living in San Diego at the time, so I'm pretty familiar with the Coast Guard. When I got out of college, I was working down in San Diego making minimal money. My brother had this great idea that we should join the Coast Guard. I started to get the ball rolling with the paperwork because it takes about 4 to 6 months once you walk into your recruiter's office until you get selected and go to boot camp. So I got that ball rolling just to have it in my pocket. A few months later I still didn't have anything else lined up. The recruiter called back and said, "Hey this is what I can offer you," and I said, "That sounds great let's do it!" So in 2004 I enlisted and went off to the East Coast. I wanted to go to the New York and Boston area so I got sent to Maine out of boot camp. I got selected for AET school and went to North Carolina to learn how to do avionics, then got sent here in 2006 and got picked up for OCS. I've been here for about three years now. 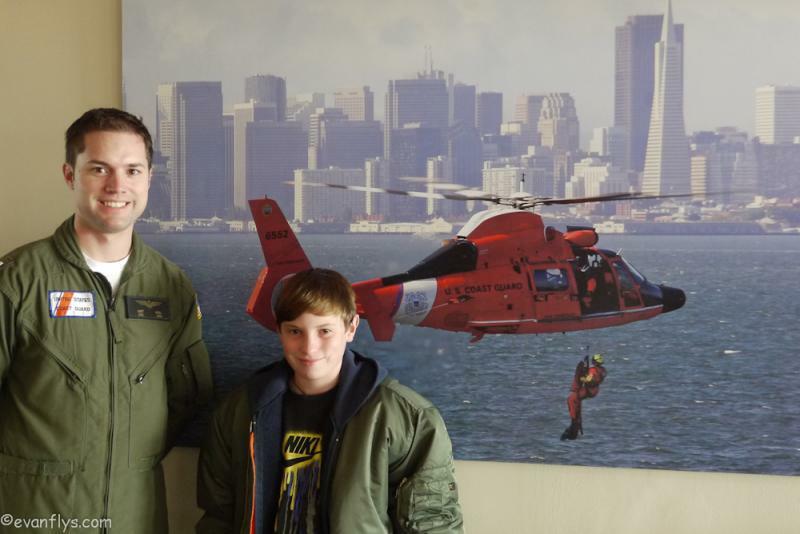 Considering that your father was in the Coast Guard, did you think about joining the Coast Guard when you were a kid? Actually no. When I was a kid, I thought that I would never be in the military. It just wasn't for me. So I thought it was pretty funny when I did enlist. I ended up in the military just like my dad. I really like it and it's worked out really well for me, so it shows you that if you just let life do what it's going to do it'll take you on the right path. Right! What kinds of helicopters and aircraft do you have here? Here we have the MH – 65 Charlie, known as the Dolphin helicopter. It's made by Eurocopter which is a French company. The big difference between French helicopters and American helicopters is that the main rotor actually spins in the other direction. In a helicopter, when you add power you add a little pedal to counteract torque. 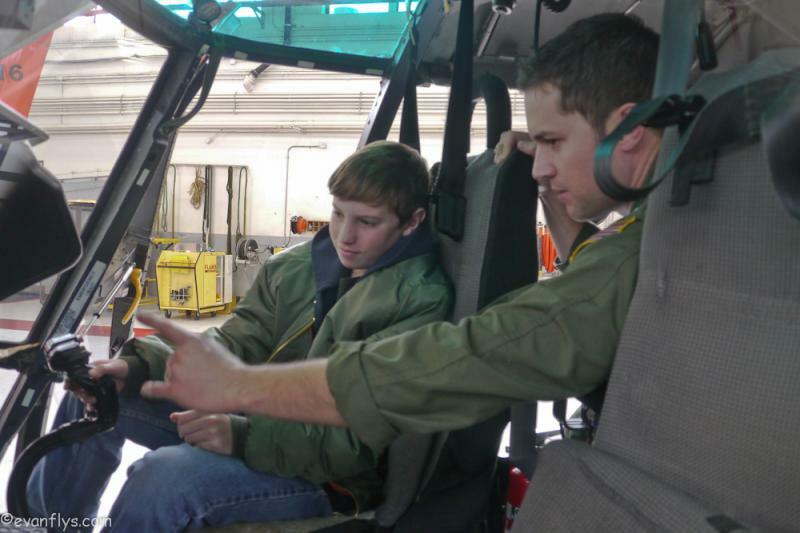 When we were in Navy school, we learned on a Bell 206. The pedal inputs are reversed so the probably the first week is the only time you really notice it. Now I don't even notice that my feet are reversed! It takes a little bit, but then you're right back where you should be, getting your reactions down. Have you flown any other aircraft besides the Dolphin? What's it like flying into a storm knowing that no other aircraft can do that mission? It's pretty nerve-racking. You never want to back yourself into a corner. This season's actually been pretty rough because of the weather. It has been misty with low ceilings. Just about a month ago, we had to go up to Bodega Bay. The ceilings were at about 150 or 200 feet and visibility was just about a mile. We had a positive contact with the boat and we knew the boat was out there. We knew we weren't going to do a random search, otherwise we would have just postponed the search. We knew that there was a person out there, a disabled vessel and some injuries aboard. We had to follow the coast with a terrain radar that shows us what the coast is doing and what kind of objects are out there. It's pretty crude, but it gives you an idea if the coast is going to come left, or go right. You can kind of make out landmarks using your memory, but we had to go 100 feet and 70 knots the whole way out. The whole time we're trying to get a hold of Oakland center or NorCal approach, just to let them know that if we did accidentally bump into the clouds, someone was aware that we were out there. That was the hard part. We lose contact every now and then and to be out there by ourselves is pretty nerve-racking. I mean you can have a pretty bad case of what they call the Pucker Factor. We just don't see anything for a second, because when you turn and face offshore, you see nothing; just a little bit of water directly beneath you. You see clouds, so you want some kind of land in your sight. Every now and then we lose the land and it's pretty scary. However the idea that there's somebody on the other end that is hurt and that you're trying to get to, keeps you going. That idea helps you maintain your safety and just keep moving forward as opposed to saying, “We can't do this we have to turn around”. We've practiced a lot of low visibility maneuvers and we have a lot of emergency procedures we could use if we accidentally did punch through the clouds or lose contact with the surface or have an emergency. We're marking places to land up the coast, like parking lots and all that kind of stuff, just in case we have to land as soon as possible in an emergency. There isn't really much to the northern coast, but we still get scared. The minute the pilot stops getting scared is is the minute when you don't want to fly with that person anymore. You should be on your guard all times when you're flying because anything can happen at any time. Let's say you're rescuing a dying crew member on a big supertanker. The supertanker is just going up and down and all over the place and you're flying the helicopter. You have to lower your rescue swimmer down but keep him from hitting the deck of the ship. How do you do that? Well, we have a lot of tricks in our bag of what we can use. We practice with them quite a bit. If there is someone that's injured aboard a tanker, are we going to injure them just trying to get them off of the tanker, or can they be stabilized on that tanker and then the tanker can find port somewhere, Even if it's a day later, is that going to be better for them than us screwing up a hoist or bouncing them around? So there's a couple things that we can do. The main thing we do with the tanker is that we maintain our distance from it and then we lower what's called the trail line down. A trail line is a big piece of equipment because the cable is so big. If we lower a basket down, the cable should be able to take almost 3,000 pounds of pressure before it will break. Once that cable is attached to the deck, we call it committed to the vessel. That means we're sharing the same fate as that vessel, so a lot of times we don't like to be committed longer than we have to. If we need to put something on deck, we like to use the trail line first. The trail line has a 300 pound breakaway, so if they take a roll or an unexpected wave and they start yanking on the cable, it'll break before it actually pulls us out of the sky. We like to use that on inexperienced crews. We also like to lower our own rescue swimmer down first to secure the trail line, so that way, when we are actually lowering down the basket and putting someone in the basket, there is a more experienced crew. We have been doing a lot of training with a lot of the other tankers and tow ships around here. We call it MIRT: Maritime Industry Recurrent Training. We actually do hoisting practice in the daytime and in nice calm conditions with these crews that are just civilian merchants and maritime industry guys, so that the first time they're seeing our equipment it's not two o'clock in the morning when their adrenaline is pumping because they've been up for two days trying to get this guy in good condition. It works out best for both parties because we get to see their vessel and get some experience in the daytime, and they get experience using our equipment. That makes it a lot easier, because time is very critical when your hover. Hovering uses a very high-power engine setting, so you're burning fuel like crazy. The less time you can spend in a hover, the safer you're going to be and the more gas you're going to have. The less time we can spend over the boat, the better. Always. We also have a litter that we can use that's like a stretcher. The basket is pretty small, so if someone has their leg in a splint, it's going to be really difficult for them to fit inside the basket. We don't normally carry the litter with us, but before we launch, we get as much information as we can, so that we bring everything that we might need on that rescue case. We try to be proficient on as many of our evolutions as we can, so that we can use them and we're comfortable using them. You never know what might happen. For example, on a sailboat you might have the mast moving 10 to 15 feet in heavy seas and you don't want to get hit by that obviously. If it's a 40 or 30 foot mast, it's going to be moving pretty hard at the top. A lot of times we can lower our swimmer into the water and just have them swim over to the boat, because sailboats and fishing boats have a lot of junk on their deck. We don't really have a clear place to put him. The last thing you want to do is have your swimmer tangled up in all that stuff because then he's part of that ship and you'll have another emergency on top of your original emergency. We try to keep things as safe as possible. What was your most memorable rescue? Most memorable? I think my favorite one has to be the time when we rescued three kids. I think that they were 9, 11, and I think 22. It wasn't even that exciting of a rescue, but anytime you rescue kids, it makes you feel a lot better because you know, chances are, it wasn't really their fault. A lot of times when you rescue someone, it's because they weren't taking a lot of the precautions they should have or they got themselves into too much too quick. A lot of times kids don't have a choice. They just get dragged along with their parents, and their parents get into trouble, and now the kids are in trouble, so you really feel bad for some of these guys! They were just out fishing with the young adult, I think he was 22 and had walked out onto the sea wall. The tide came in behind them and now they're on an island. It was really windy that night If they tried to walk across the rocks , they probably would've slipped. The fire department couldn't get to them so they called us. When we got the cal, we just happened to be a mile from them. They asked “ hey can you see them?” Since we were so close, we saw them immediately. They were in shorts and T-shirts it was probably about 55° or 60°degrees outside. They were really happy to get rescued, like most people are. Kids usually have no problem with wearing a big smile when they get rescued whereas adults kind of humble themselves a little more. We have people that come by and thank the crew after we save them. They are so surprised that it's so rare for someone to come back. A lot of times when people do get in trouble,they know it is their fault, and they get really embarrassed. The feel bad and they want to put it behind them where other people are like, “hey thanks, if it wasn't for you guys I'd probably still be out there or worse.” So quite a few times we probably had five or six per year that come back and thank us, which is pretty good because a lot of other guys that don't get to fly or weren't on that mission you get to kind of see what our main purpose here is. What it really is, is just luck. 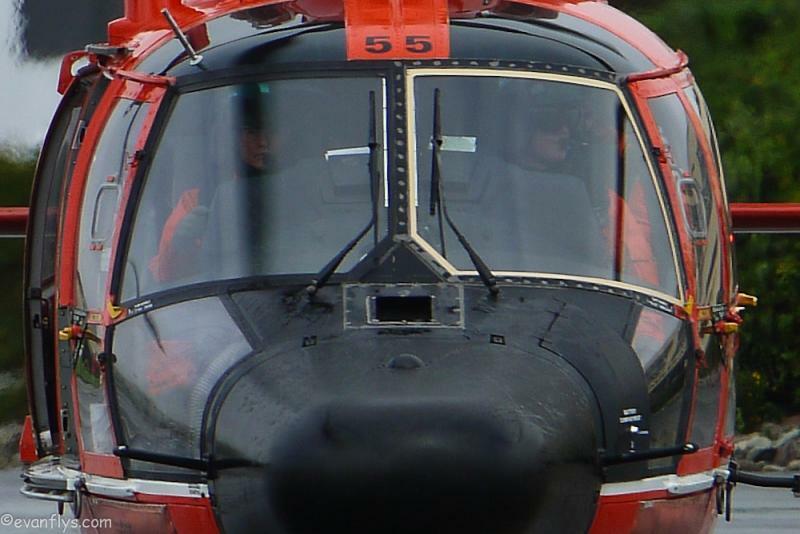 You could stand duty for times a week in but never get launched on a SAR case and you can stand duty one time a year and you'll get three SAR cases and rescue 10 people. Some guys are like SAR magnets. Every time they stand duty they get launched and save three people and other people can sleep the whole night through every night and never have to get up in the middle of the night and they're like. “ yep, it's gonna be a quiet night tonight because I'm on duty!” That SAR case got a lot of attention from the media because we got a good video of it because the media loves it when you see the kids it's heartwarming for a lot of people so they were all over us, I think almost every news station was out here so it's kind of fun. So what do you think was your most dangerous rescue mission? My most dangerous rescue mission would probably be the one where we had a fishing vessel off Half Moon Bay that was taking on water. Whenever you get a call from a fishing vessel we know things are serious because if it's just like a recreational sail boater or something or someone out on a pleasure cruise. Pretty much the second things start to look like they're going to go wrong, the be calling in and ask for help. But a fishing vessel, if he calls he's going to lose time out there and time is money so he's not going to call in so as long as they can try to work through a lot of their emergencies themselves so once we got a call from the fishing vessel we kind of figured that we were in for a pretty big case. So we went out to Half Moon Bay and the clouds were low enough that we couldn't just fly up and over the hills so we had to actually go through the Golden Gate. So we went out that way and the Pillar Point Harbor Patrol was already on scene trying to get a pump to them but the seas were pretty rough and they couldn't get a pump over to them very well. They finally shot over a trail line to them so they tried to get them to pull up the pump. I guess they were taking on water in their engine room down at the very bottom and the guys were so exhausted they couldn't even pull the pump over the deck with the two of them in the pump weighs about 100 pounds so it's not terribly heavy but it's heavy enough that if you're exhausted you just can't get it aboard. Plus the waves were thrown around pretty good so by the time we got on scene, they were listing a little bit to one side so you could kind of see that they already had water down in their bilge and that was making them kind of lean a little bit. Everything looked kind of stable and the Pillar Point Harbor Patrol was already next to them and they were like, if anything goes wrong we'll swoop in and get them if we can't we'll call you guys if one of them gets hurt will have you guys airlift him out of here. So we were just kind of waiting for the guys to fix their problem or give up and get on board the other boat. We are just about to lower our swimmer down because he's trained with the pump. They'd finally gotten the pump aboard and didn't know how to use it and so were going to lower a swimmer down there he can work the pump and get the dewatering going immediately he gets his boat in to attack it so just about to lower the swimmer down it all of a sudden the boat switches from leaning to one side to the other side in any kind of started to spin a little bit and we are like OK, it's moving so let's wait for this thing to settle out and the next thing you know a wave came over the side and dropped half the boat down and within probably about 30 seconds the boat was completely sunk. It was probably one of the most amazing things I've ever seen because a boat was just sitting there and then suddenly it's completely gone. Of course neither gentleman had a life jacket on because their life jackets were in the engine room which was flooded, so they were both holding onto whatever they could on the boat, like in the movie Titanic just trying to stay on the boat as long as they could before the boat went under. At this point there was their fishing gear, a cooler in the water, and anything that was on the deck was in the water too so there were a bunch of hazards in the water. Finally they both let go of the mast which is the last thing to go under and the Pillar Point Harbor Patrol was going in to get them so they went and picked up one of the guys but the other guy was on the other side of the debris field. So we were looking at him and it looked like he was about 6 inches underwater but kind of floating right there, so we are like we have to get this guy, so we sent our swimmer down to get him. It took about a minute and a half, that's really quick, and by the time we got him into the helicopter, he wasn't breathing and he didn't have the pulse. We made a beeline towards half Moon Bay and had the paramedics meet us there but the ceilings were still pretty bad, probably about 500' at this point not that bad but low enough and visibility was probably about 4 miles so we just figured that there wouldn't be anyone at Half Moon Bay because the weather was so bad. We landed in Half Moon Bay and probably about a minute after we got on the deck another plane came in right behind us! We were listening to the tower frequency but we didn't hear them at all and all of a sudden we heard a plane and we were all like “why is there a plane here?” So we barely missed the midair there by probably about a minute! They are doing CPR on a gentleman all the way in the he ended up not making it but there's a very intense day for us. That was the Betty K. Last April. That was probably my least favorite SAR case. Everything went wrong. There was bad weather, bad seas and then someone lost their life. It's like the Swiss cheese model. Each part in an activity has different holes that, just like a slice of Swiss cheese does, but was long as you have three or four different layers of Swiss cheese in there, the chances that a hole is going to line up all the way through is pretty slim. So that's why you try to minimize the risks by putting as many steps as we can but at this point we were getting a lot of holes in our Swiss cheese because the weather was bad, you had two guys who were exhausted, the boat wasn't in a safe condition, and we just had so many things going on it was like, okay, we've got to be really careful out here. When we were thinking about putting our swimmer down, what would have happened if we put him down about three minutes earlier, right before it started spinning around, he would've been on the boat as it was going down. What do you do then? 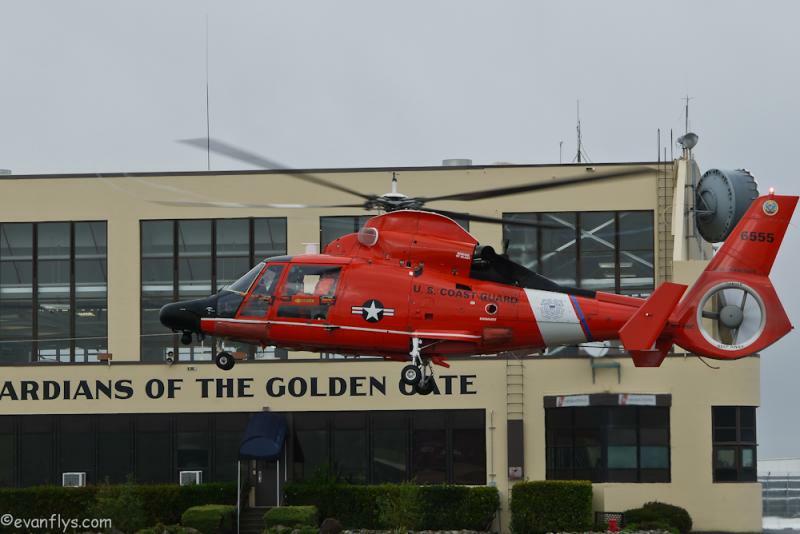 The United States Coast Guard is an amazing branch of the military full of very brave people ready to go out and save lives, even if it means risking their own. 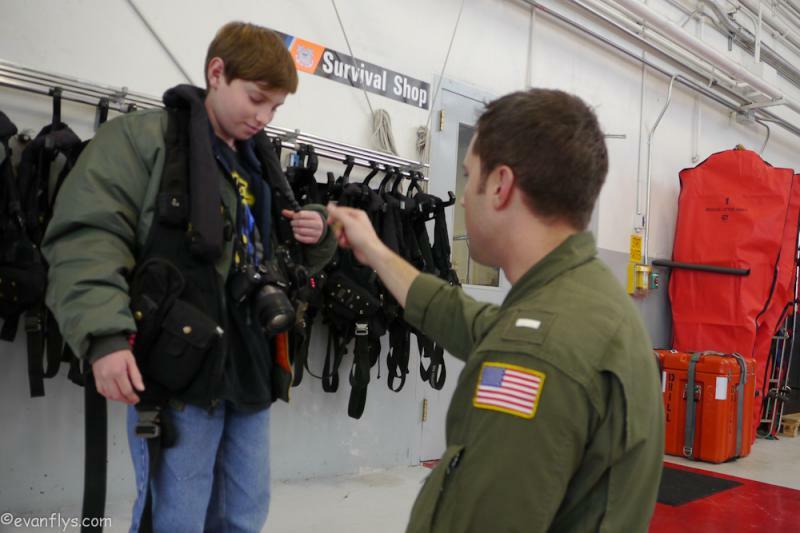 Very special thanks to LTJG Matt Kroll for making the time so I could interview him. Also, thanks to my mom and dad who took pity on me and helped me do some of the editing!